The relationship between ethnic politics and democracy presents a paradox for scholars and policy makers: ethnic politics frequently emerge in new democracies, and yet are often presumed to threaten these new democracies. As ethnic politics is becoming increasingly central to Nepali politics, this book argues it has the potential to strengthen rather than destabilize democracy. 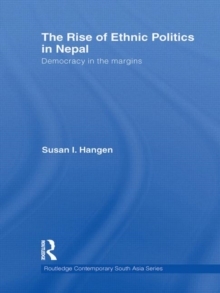 Drawing on years of ethnographic fieldwork, Susan Hangen focuses on the ethnic political party Mongol National Organization (MNO), which consists of multiple ethnic groups and has been mobilizing support in rural east Nepal. 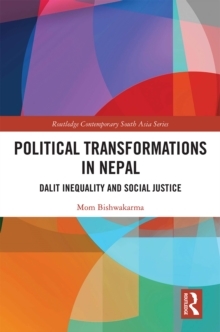 By investigating the party's discourse and its struggles to gain support and operate within a village government, the book provides a window onto the processes of democratization in rural Nepal in the 1990s. This work presents a more nuanced understanding of how ethnic parties operate on the ground, arguing that ethnic parties overlap considerably with social movements, and that the boundary between parties and movements should be reconceptualised. The analysis demonstrates that ethnic parties are not antithetical to democracy and that democratization can proceed in diverse and unexpected ways. 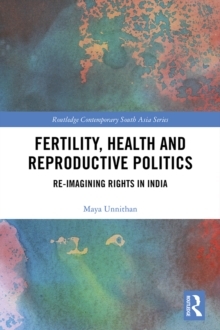 Providing an in-depth discussion of the indigenous nationalities movement, one of Nepal's most significant social movements, this work will be of great interest to scholars and students of Asian Politics, South Asian Studies, and Political Anthropology.